Waldomiro Perez Junior is a historical Jiu Jitsu figure in the Brazilian state of Sao Paulo. A black belt in BJJ under Marcelo Behring and a Judo black belt under Olympic bronze medallist Shiak Ishi, Waldomiro Perez has graduated important fighters such as Roberto Godoi, Jorge Patino and Max Trombini, having also been part of the famous MMA reality show “The Ultimate Fighter” on two occasions (TUF7 and TUF10) in the condition of grappling coach. He was also the founder of Cia Paulista, one of the most important BJJ academies in Sao Paulo having been as well the vice president of the FPJJ (Federacao Paulista de Jiu Jitsu) the first Sao Paulo BJJ federation – an organization he co-founded with Moises Murad. Pan American Bronze Medallist (2000 master). Waldomiro Perez was born on the 20th of Jamuary 1965 in Sao Paulo, Brazil. When Perez was 5 years old his mother told him “I will never force you to do anything, but nothing would make me happier then if you practiced Jiu Jitsu”. And that was why the young Waldomiro joined BJJ. His mother was always beside him, pushing him to train hard (usually 5 times a week). 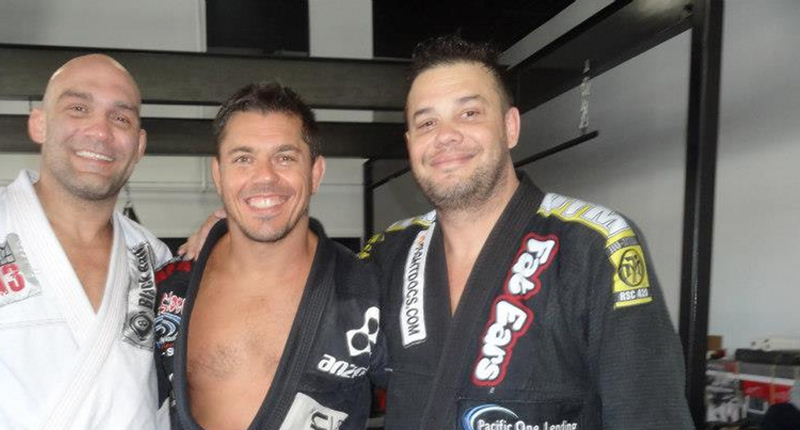 He started training under a BJJ brown belt called Saúl at the “Clube Tiete”. He also trained at Gastão Gracie’s gym and did several private classes with the legendary Pedro Hemetério. He would also visit Rio de Janeiro on a regular basis because his family was “Carioca”. When he was in Rio he would go to train with Master Álvaro Barreto where he met the man that would become his master, Marcelo Behring. He was always promoted by Master Behring and fought under his banner on many important tournaments of the time such as the Copa Company and Copa Atlantico Sul (a tournament organized by Joe Moreira, a black belt with whom Waldomiro Perez also trained). 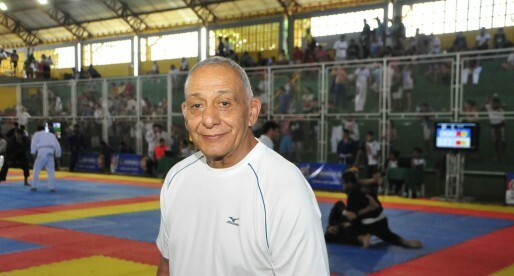 In Sao Paulo, Waldomiro often trained his Judo in Ubatuba with master Jozino. There he met Maximiliano Trombini. Max was an intense Judo fighter. The two (Waldomiro and Max) established a strong and long lasting friendship (today Trombini is the godfather of Perez‘s oldest son, Kalani) . Max also became one of Waldomiro’s first students having been his very first black belt. 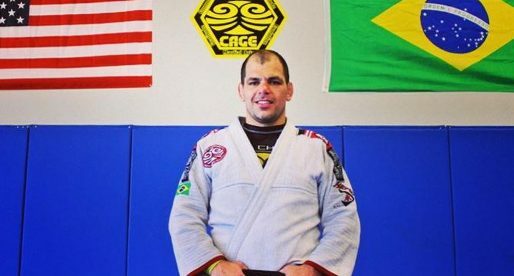 Perez started giving classes at Marcelo Behrin’s academy as this BJJ stars’ shine began to fade away, struggling with personal issues. In 1988 Waldomiro formed the Cia Paulista, at the time named Cia Atletica – the name was changed to “Paulista” years later as a way to identify and display the state that they proudly represented. Perez was the main instructor of the academy of 15 years, having also trained the special armed forces elite group aka GOE (Grupamento de Operações Especiais) for 12 years. In the early 1990’s (around 1993) Waldomiro together with Moises Murad – the founder of the Lotus academy (another important team in Sao Paulo) – helped form a BJJ federation in Sao Paulo, to which they called Federação Paulista de Jiu Jitsu. The organization was supported by the majority of academies in São Paulo and it’s governing body was elected democratically. Waldomiro Perez and Moises Murad were one of the parties running for office while Otavio Almeida Junior and Roberto Lage were the other. The vote went 25 – 3 to Perez and Murad and the two took on the mission of spreading the Jiu Jitsu gospel all over the state. Under their guidance, the federation launched a circuit style of competition with several steps in different towns. 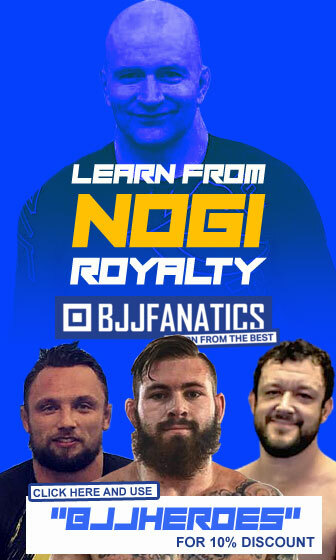 The idea behind this was to bring BJJ to the smaller towns and remote cities, with this bringing also more students to the coaches living in these areas. The avalanche of fans and competitors would also bring some tourism to these same places. Though the thought was well planned, the pressure from the coaches in the capital slowly started becoming unbearable, these coaches did not want to travel long distances with their teams and found the idea a nuisance. After some time Perez and Murad quit their job at the helm of the federation. The same pair (Perez and Murad) would create another federation years later after many problems started occurring in competitions organized by the FPJJ. They joined forces again to create the FESP (Federaçao Esportiva de São Paulo) that also had the help and support of São Paulo’s boxing federation. Perez was the vice president of FESP for 10 years. Waldomiro Perez moved to the United States just before his partner gave birth to his first child (Kalani). Being an American citizen, she wanted their son to be created in a safer environment, away from the instability that runs São Paulo. There Master Perez Junior established his own academy having already graduated US nationals with the black belt. He has also been involved in the tuition of some top mixed martial artists such as the already mentioned Jorge Patino, Quinton “Rampage” Jackson and Tito Ortiz. In fact, Waldomiro’s prestige amongst the Brazilian media was on full display at Tatame (a well established Brazilian MMA publication) on their article about the roots of mixed martial arts in Brazil, with a mention also on their MMA tree of Brazil. I've trained with Waldomiro "Junior" Perez for many years now and I feel so fortunate to have him as an instructor and good friend. 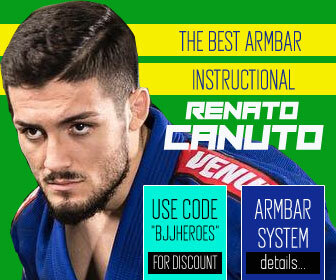 Junior is an awesome instructor and was voted the Professor (Instructor) of the decade (90's) for his state in Brazil. Junior has also worked with many UFC, Strikeforce, WEC and Pride MMA fighters and was chosen twice by former UFC Light Heavyweight Champion Quinton "Rampage' Jackson to be "Team Rampage's" Brazilian Jiu-Jitsu/Submission Wrestling coach for the television show "The Ultimate Fighter" Seasons 7 and 9. Junior truly has taken my BJJ game to another level. Whether you are looking to increase your BJJ game, become a better MMA fighter, learn self defense or are looking for your first instructor, I couldn't suggest a better instructor than Junior!!! Junior is training in Huntington Beach at the GAZZE ACADEMY at: 19069 Beach Boulevard Huntington Beach, CA 92648. Drop by anytime!!!!! My first class with Master Waldomiro Perez Jr was in 2005. A google search of his name will return an impressive list of credentials and achievements. As a 6th degree black belt he has achieved the highest rank possible as a black belt and his coaching demonstrates his expertise. He has been offered a coral belt by more than one federation but is holding off for now. He runs a very focused class that includes preparation for all stages of fighting including a cardio workout. I am continually challenged with a nice combination of cutting-edge technique for gi, no-gi and mma training. His teaching is detailed, efficient and open the door to several finishes and transition options. 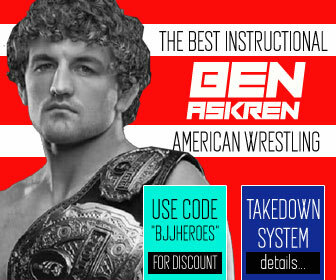 He has coached the highest level competitors and world champions in bjj and mma so you can be assured that he teaches very effective techniques. Despite his impressive experience he is not an ego-maniac and keeps a friendly (often humorous) approachable demeanor. This is really important for a long term student that wants an enduring relationship with their instructor. 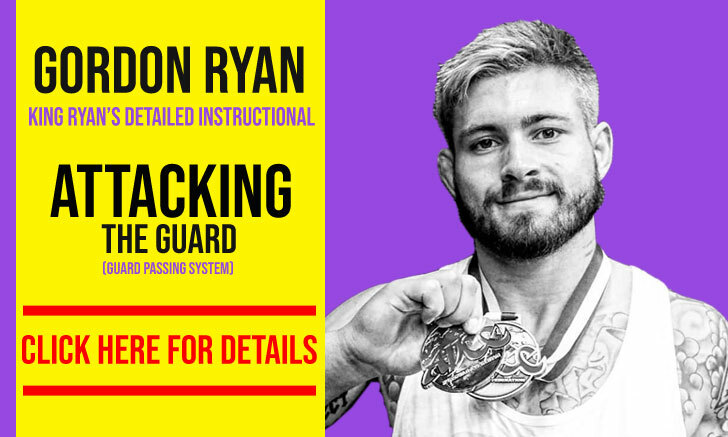 He currently offers classes in Costa Mesa and recently (4/2014) opened a new academy in North Huntington Beach, near Bolsa and Bolsa Chica where multiple classes (gi, no-gi, mma, etc.) are offered everyday of the week for all ages and genders. 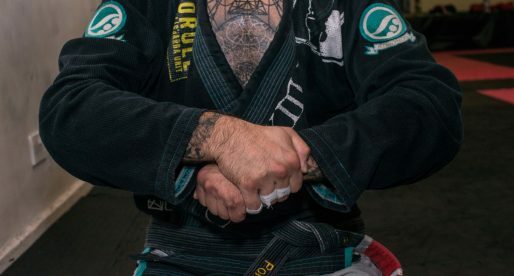 For those that qualify, he offers a Brown Belt/Instructor course that certifies it’s graduates to teach bjj, mma, military and law enforcement instruction. I am fortunate enough to be a part of this program. He has promoted hundreds of black belts and has affiliate schools worldwide. This year before the Pan Ams his Brazilian affiliate schools flew over 50 black belts to train with us before competing. Amazing. His students are respectful, friendly and ready to train hard – egos are checked at the door. There are many great training partners available in his program. In short, Master Waldomiro offers a top notch program that is difficult to match. 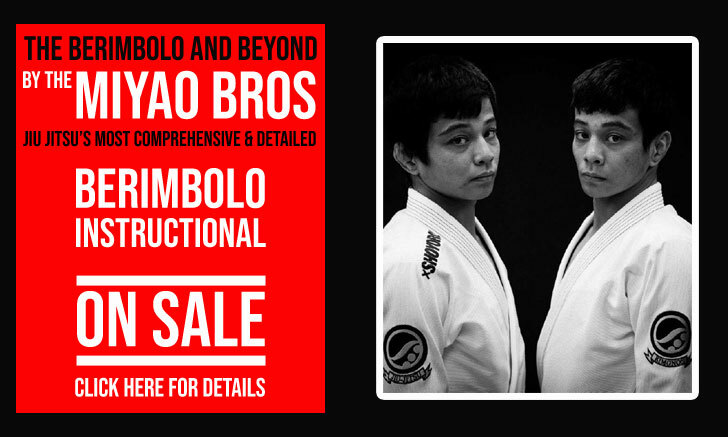 If you are looking for a new school and are ready to train, make sure you stop by and train with Master Waldomiro.